Ted says that starting Designmaster was and is a calling for him. He received an A.B. degree in Economics from Hamilton College in 1967. His time of serving as a communications officer in the United States Navy on board a frigate was followed by nine months of travel and work in Europe, Ted earned an M.B.A. from the Wharton School at the University of Pennsylvania. 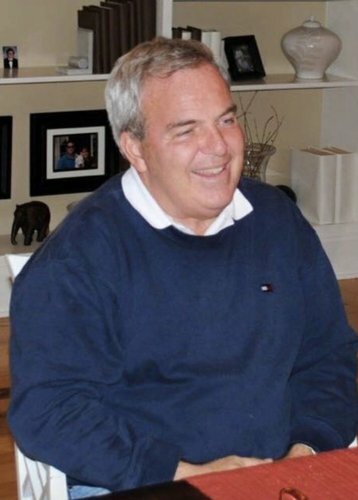 He worked for Bloomingdale’s for nine and a half years, the last three as Merchandise Manager for furniture, fabrics, rugs, and interior design. Ted is a “retailer at heart”, a perspective that has been a great asset in his work as President of Designmaster since it began in 1989. Ted and his wife, Lucy, have been married for over 37 years and have four children and four grandchildren. Ted enjoys serving the Lord while working at Designmaster (and while not working at Designmaster), spending time with his family, doing puzzles, and traveling. Jamie attended Lenoir-Rhyne College, receiving his degree in Business Administration. 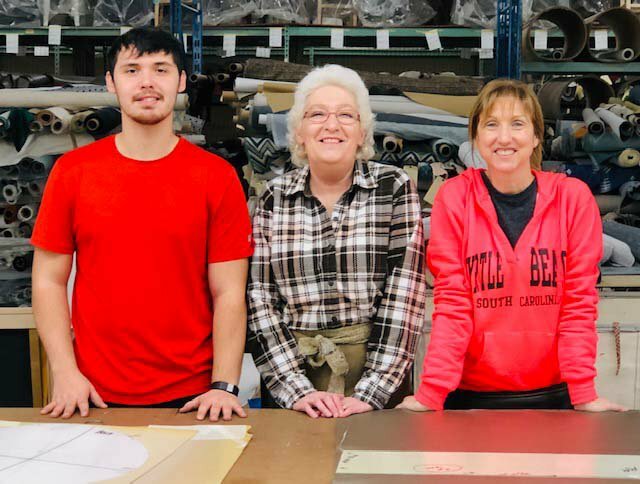 His past work experience includes working with both a furniture manufacturer and the Hickory Furniture Mart - a multi-gallery retailer and well-known North Carolina destination. He has also owned a business that produced conferences and trade shows, including events specifically for the furniture manufacturing industry. He and his wife of 20 years, Laura, have a 16-year-old son, James. He enjoys time with his family, along with service in the community, travel, and reading. A graduate of Lenoir-Rhyne College, Charlie earned his C.P.A. licensure prior to joining the Designmaster Family in 2001. In addition to his duties overseeing the financial health of the company, Charlie is also involved with the Information Technology operations of Designmaster. He enjoys helping people solve problems and looking for ways continue to make Designmaster a better company. Charlie and his wife, Susan, have a son and a daughter, Jeremy and Jennifer, as well as three grandchildren, Jackson, Jenna, and Thomas. 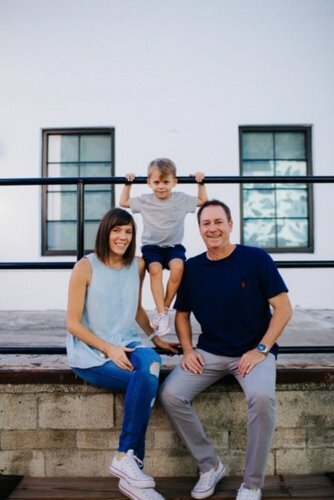 When he isn’t “thinking or dreaming about chairs,” Charlie enjoys running, travel, and time with his family. 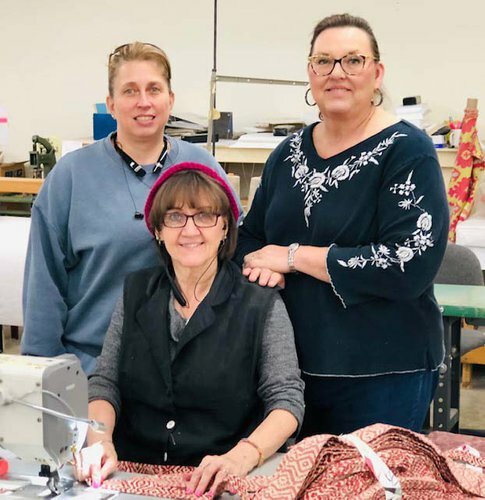 With a life-long love of music and a degree in Music Performance from Meredith College, Cathy didn’t originally expect to share her artistic gifts through chairs and fabrics. 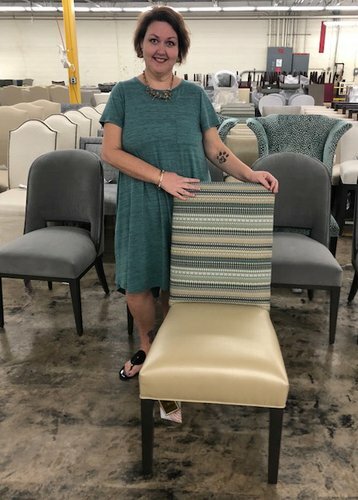 She started working with Designmaster in 1991 as customer service manager and merchandising assistant after working for another upholstery furniture company for ten years. She later moved into merchandise management, focusing her time on product development and fabric selection. Married for 40 years, she and her husband, Bruce, have two children and two grandchildren. 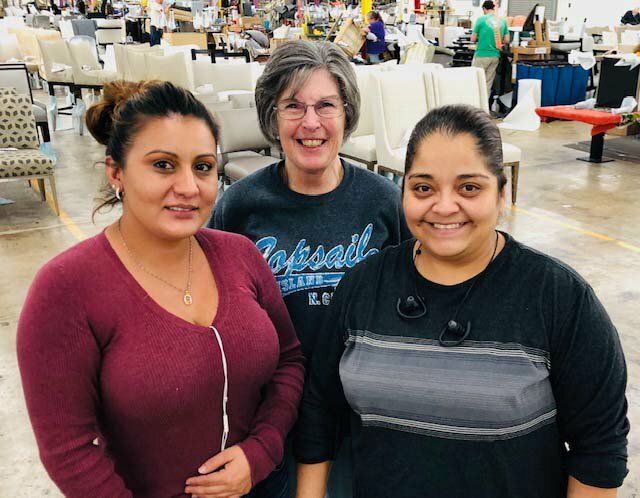 Cathy says she enjoys working for a well-respected furniture company that demonstrates integrity in its decision-making. Cathy enjoys serving as choir director at her church, taking walks, and spending time with her children and grandchildren. Beth has degrees in Merchandising, Clothing Textiles, and Marketing from Meredith College. Prior to working with Designmaster, Beth worked on the hosiery manufacturing and buying, as well as in product development for Nascar. She and her husband, Mickey, have been married for 26 years and have two daughters: Caroline, 22 years old, and McKenzie, who is 15. Having worked more than 10 years at Designmaster, Beth says she loves the people she gets to work with every day, from those in the office and plant to those in the field. She enjoys cooking, swimming, and golf, along with spending time with her family. 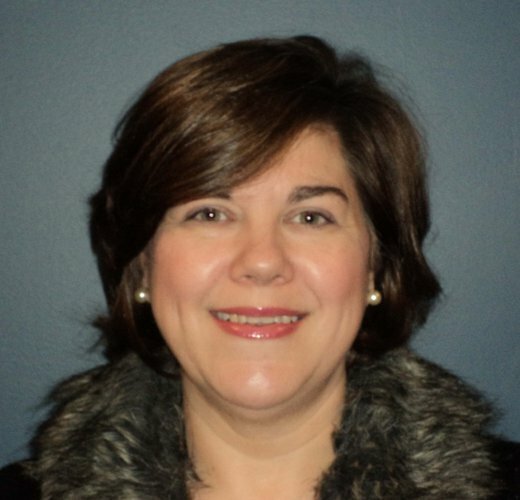 Angie came to Designmaster after having worked in both the furniture and textile industries. In leading the customer service department, she works closely with sales reps, dealers, and the manufacturing team, all with the goal of providing excellent customer service to our dealers. Angie enjoys working for a family-owned business in a community environment. She appreciates the fact that prayer and seeking God’s will are an important part of the work she is blessed to do with people who really care about one another and work as a team. Angie and her husband, Bobby, have three children and four grandchildren. 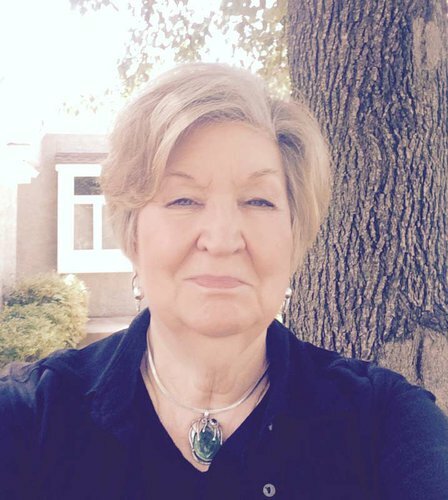 She enjoys camping and other opportunities to spend time with her grandchildren. Alan has been involved in the Hospitality Industry for over 25 years with a diversified and comprehensive background in sales and marketing management, targeting the leading design firms, purchasing companies and hotel companies. 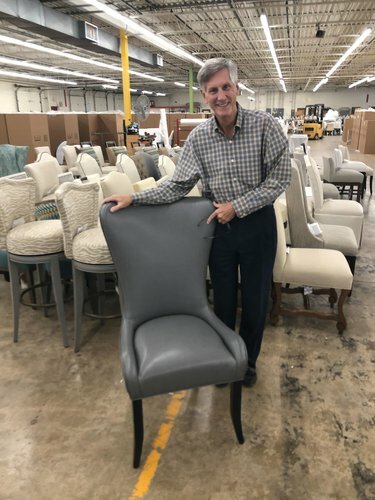 Having worked with Shelby Williams, Falcon MTS and other industry leading manufactures, he has had the opportunity to gain experience at many levels of the contract furniture market. He is very excited to be a part of the Designmaster Furniture company’s future as we become a major source in the Hospitality market. Steve is a graduate of Appalachian State University, where he received a B.S. in Business Administration and a minor in Secondary Education. 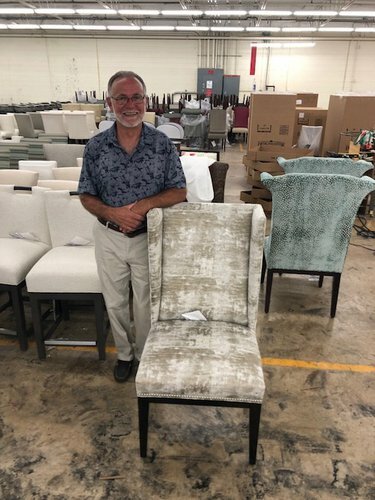 He has worked in the furniture industry since graduating: 39+ years and counting. He and his wife, Penny, have been married for 37 years and have one son, Alex, and one granddaughter, Olivia. Steve appreciates the teamwork approach found in the Designmaster community. He also enjoys the challenges of manufacturing and helping to train skilled craftspeople. 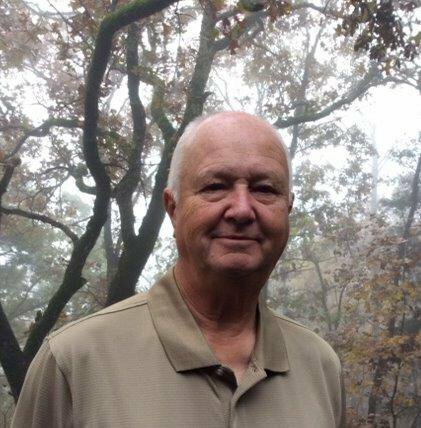 Steve enjoys time with his family, working at church, gardening, and going on trips in his RV. Roy studied Business Administration and Personnel Management at Caldwell Community College after serving in the US Army. He has two children , as well as two grandchildren. 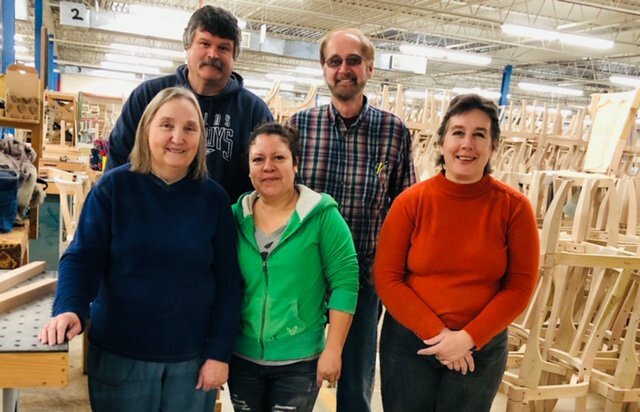 With 42+ years in the furniture industry, Roy has a great appreciation for the community approach to management at Designmaster, as well as the opportunity to work with all the craftspeople we have in our factory. In his spare time, Roy is a “cheer granddad,” regularly taking his granddaughter, Gracie, to competitive cheer practices and competitions. Brandy has been part of the Designmaster family since 2005. She enjoys being part of such a diverse community within Designmaster, where you can find a variety of gifted people and personalities all working together. Brandy has two grown children: Murphy, who is 26 years old, and Keira, who is 19 years old. On weekends, when she isn’t spending time with her “fur babies,” Magnus and Minerva, Brandy enjoys time outside, make soap, and reading. Terri majored in English at UNC Charlotte. 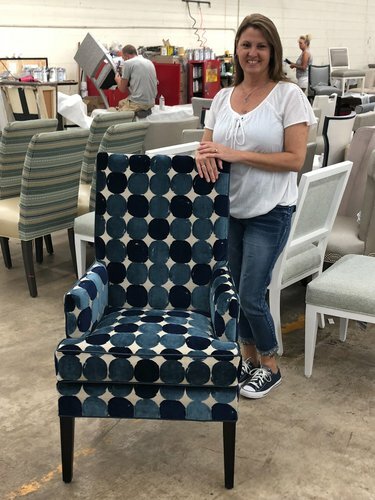 While working with Designmaster is her first experience in the furniture industry, she has had prior experience in sales for both the print media and cellular phone industries. She has also co-owned a local restaurant. Terri has two sons: Trace, who is 25 years old, and Josh, who is 23 years old. At work, she enjoys the time she spends with her co-workers. 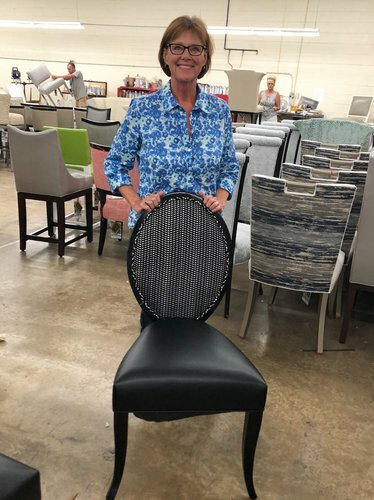 She also likes working with the sales reps and dealers to give them what they need to effectively and efficiently sell Designmaster dining chairs. Terri loves to read in her spare time in addition to being outside, preferably in the mountains. Kim moved to North Carolina from Minnesota to be closer to her parents and her brother, who also live in the Hickory-area. She started her work-life as a nurse, before making a transition to customer service and human resources. Kim takes pride in providing an excellent customer experience for those she serves. She likes to spend time with family and travel. Additionally, she enjoys yard work and gardening and sharing her home with a “wiener dog” and a cat. 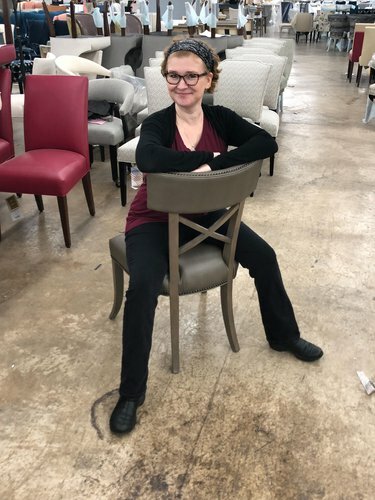 Laura first heard about Designmaster Furniture through a story written for Guidepost magazine in March of 1999. She felt led to contact Ted in a letter about becoming a personal assistant. Six weeks after her first interview, she was hired. Laura says the relationships she has are her favorite part of working with Designmaster, with lots of special memories made along the way. 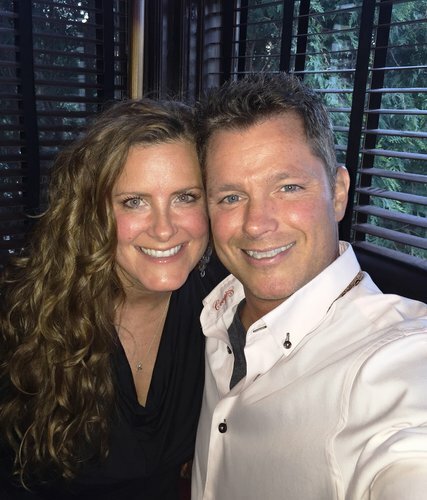 Laura and her husband, Steve, have been married for 13 years. 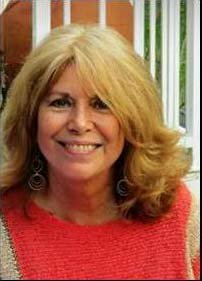 She enjoys time with her nieces and nephews, as well as reading, bowling, and photography. 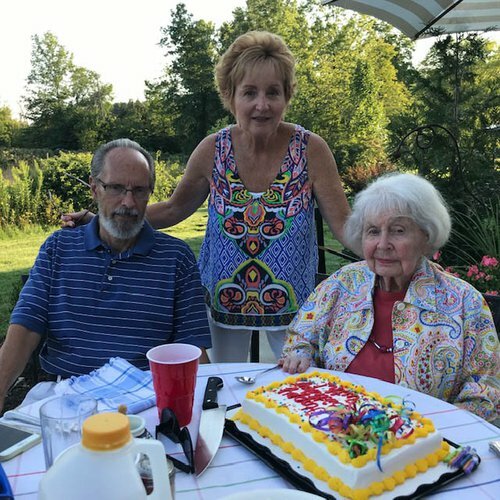 She and her niece are currently making plans to go on a sky-diving expedition. .
Shera attended Rowan-Cabarrus Community College, receiving a degree in Business-Computer Programming. She and her husband, Mike, have been married for 17 years and have 12-year-old twins, Braxton and Bryson. Being a part of Designmaster’s awesome family atmosphere is something Shera enjoys about her job. She also likes to see beautiful chairs built from the ground up. Family is a priority for Shera. She also enjoys church, shopping, and spending time at the beach. The Smith Family recently welcomed “twin puppies” into their home: Willow and Harper. Melody Perkins has been a Designmaster employee for 13 years. She loves the people she works with, as well as the variety of responsibilities she has as our sales aid assistant. Melody is proud of her role as the mother of a “most independent” 19 year old. Ashley is a native of Catawba County. She and her husband, Aaron, have been married for almost 20 years and have one son, Blake, who is six years old. Ashley enjoys working at Designmaster because it feels so much like a family. She enjoys reading, baking, and exercising in her spare time. Sandra studied Accounting at Caldwell Community College. She has two grown daughters, Amanda and Brittany, and a brand-new grandson, Oliver. 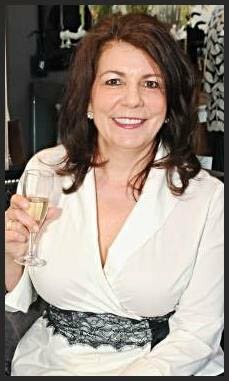 Sandra enjoys the sense of community found at Designmaster Furniture and the blessing of working with so many kind and thoughtful people. In her spare time, Sandra likes to work in her yard and is already planning for many fun activities as a grandmother! 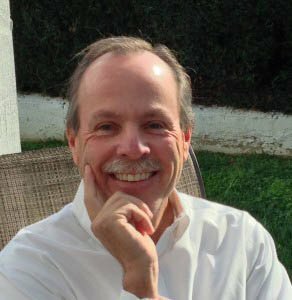 A graduate of the University of Southern California with a major in Psychology, Steve has almost 40 years in the furniture industry. Steve thinks of the Designmaster team as “family,” where everyone encourages one another. 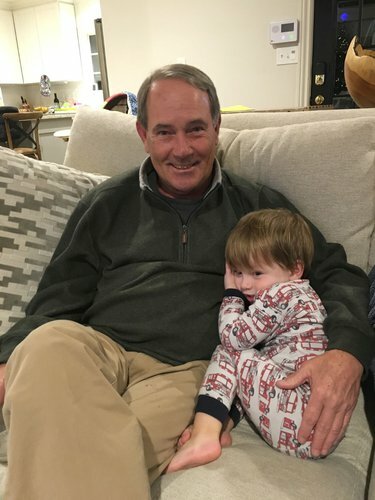 He and his wife, Debbie, enjoy playing golf, hiking, and spending time with family, which includes five children and two grandchildren.both retail and as a representative. Steve has 4 kids and a 105 lb. black lab named Ace. Steve enjoys the game of golf and one day hopes to shoot his centurion. Born and raised in the Lone Star State, Stephanie attended the University of Texas in Austin before moving to New York City. 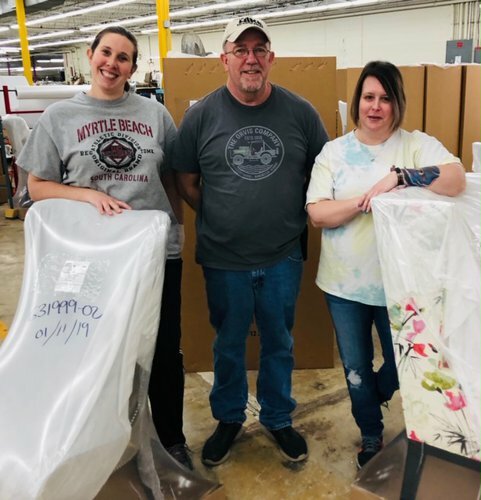 She worked both in non-profits and advertising before following in her parents’ footsteps by becoming a furniture rep. Stephanie is proud of the relationships she has built with her customers and the people in the factory during her time at Designmaster. She has two dogs, Melvin and Hazel, and enjoys traveling and spending time with friends and family. Donnie is a native of Waycross, Georgia. He served in the U.S. Army from 1966-68 with the Ninth Infantry Division. While in Vietnam, he was responsible for providing security for medical teams in villages, as well as food and medical care for impoverished villagers injured during raids from Viet Cong rebels. 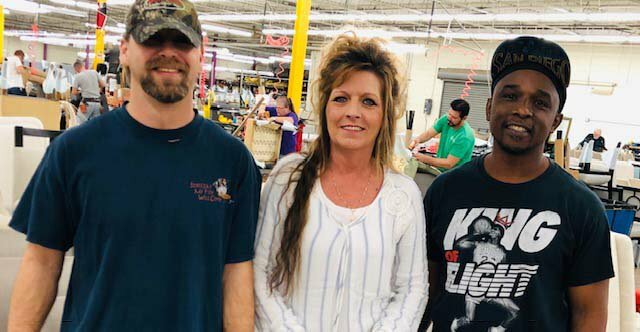 Donnie’s degrees in marketing and business management from East Tennessee State University served him well during his 15 years in the apparel industry, prior to going into the furniture and accessory business. He and his wife of over 40 years, JoAnn, have one daughter, Sarah, and three grandchildren ranging in ages from one to seven. Donnie says that “It’s not hard to explain why I like working for Designmaster. 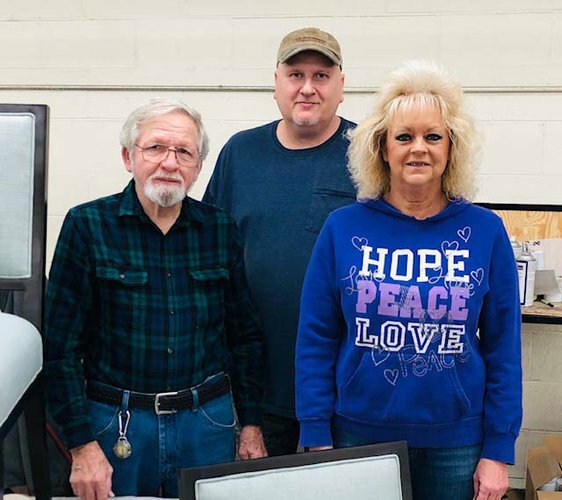 There’s great product, great customer service, and wonderful, caring people.” The Bowens love to spend time with their daughter and grandchildren. Golf is one of his favorite late-afternoon pastimes; even while traveling on the road, he might be found practicing or walking a few holes. Alan attended Penn State and spent 15 years in upper-end retail prior to his start in the furniture industry. He and his wife, Donna, have been married for 21 years have three children: Madison (17), Jacob (13), and Ava (10). With over two decades as a sales rep, Alan enjoys working with dealers to improve their business and effectively merchandise their stores. In his spare time, Alan enjoys music, sports, and family time. Lesli Ann is passionate about her work having grown up as the daughter of two entrepreneurs. She has a degree in Interior Design and a minor in marketing which were just the jumping off point. 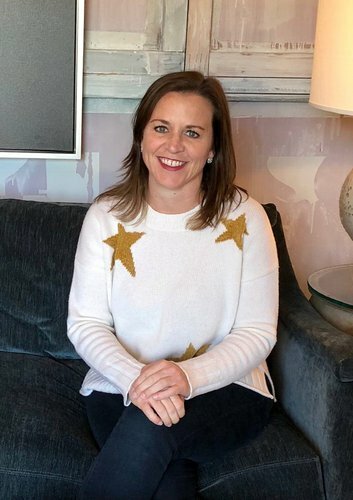 She loves her clients and one of her favorite quotes from Charlotte Moss (renowed Interior Designer) is “ every day you have to get yourself fired up!”. Lesli Ann is a woman of faith and grateful she grew up in a faith based home. She is still madly in love with her husband George of 34 years, who assists her on the furniture side of the business. 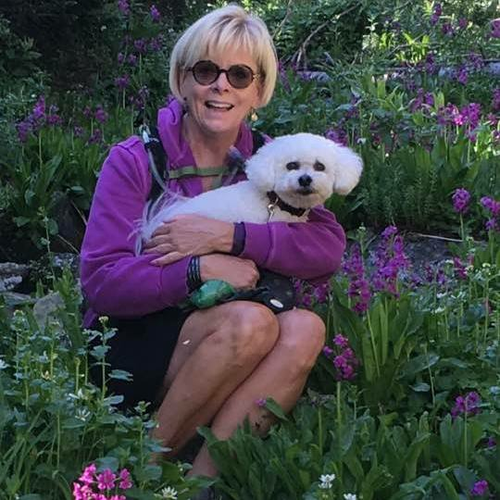 When they are not working, serving the Lord and their community, they are enjoying their family, their dog Poppy, skiing, cooking and gardening. Whew! It’s a busy and blessed life! 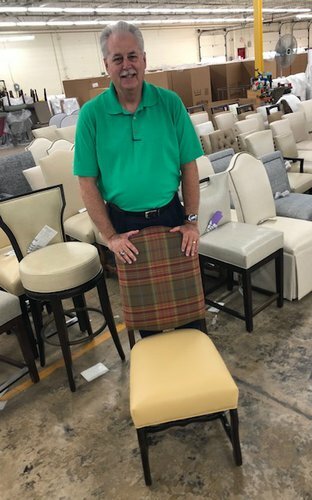 A graduate of Duke University, Stan was an assistant football coach at Duke prior to starting a career in furniture sales lasting 40+ years. Stan has a great appreciation for Designmaster’s beautifully-styled products and wonderful customer service. 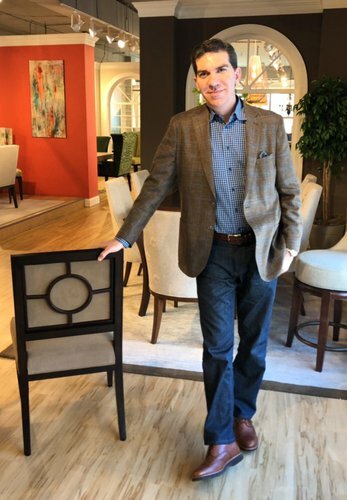 He believes that as a sales rep, his reputation is only as good as the products he represents and the service provided, so he is thankful for the opportunity to work with a trustworthy company like Designmaster Furniture. 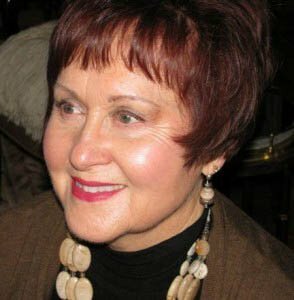 A graduate of the University of Toronto with a BSC in plant pathology, Susan’s career experiences prior to becoming a furniture manufacturer’s rep include research in plant pathology, professional ballet, and serving as a flight attendant. Susan loves working with the people of Designmaster and describes them as “creative, honest, integral, caring and fun.” Over the years, Susan has had 47 Bull Terrier puppies and in her spare time she is passionate about studying and learning new things. Born in Middletown, Ohio, Nancy attended the University of Minnesota for both her undergraduate and graduate degrees. 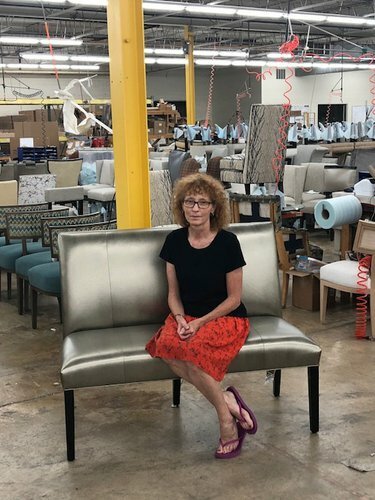 She takes great pride in having spent her entire career in the furniture industry, doing everything from store-planning and buying to contract and residential design. 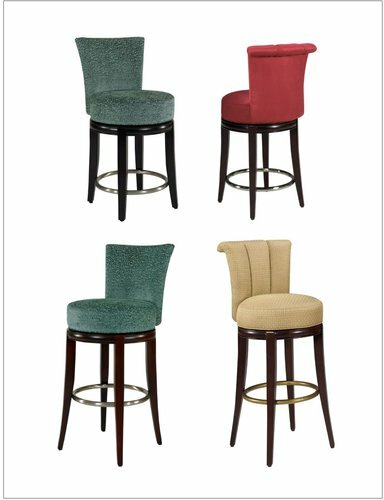 She considers it a privilege to assist sales associates and designers by supplying them with stylish, high-quality Designmaster products. In her spare time, she enjoys gardening and volunteering at church. 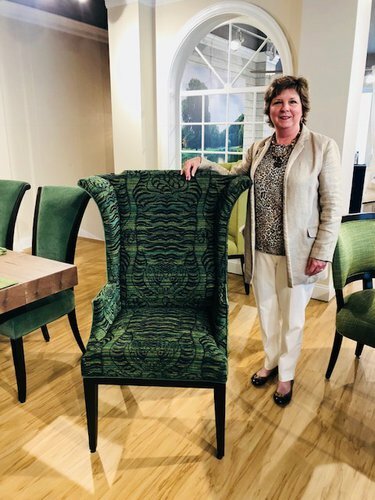 Helen has been in the furniture industry for over 35 years, first as the owner of her own gallery selling directly to the trade, then as a manufacturer’s sales representative. 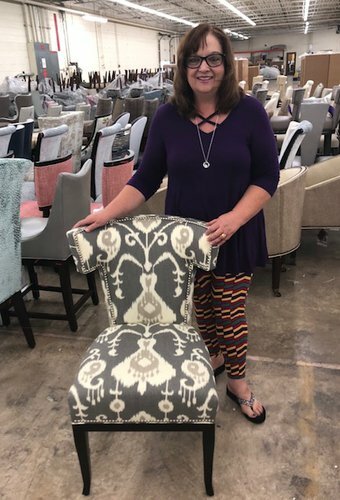 She has passed down her love of furniture sales to one of her two daughters, as well as her son, John, who also sells Designmaster Furniture. Working with fabrics is one of her favorite things about her job. Time away from work often includes fun with her four grandchildren. John was born in Minneapolis and has lived in Minnesota his whole life. He attended the University of Minnesota, receiving a major in finance. 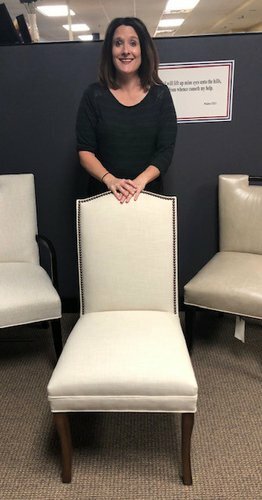 John began his career in furniture in 2007, although he's been indirectly involved for much longer; his mother, Helen, has been a sales rep for 35 years and his sister, Amie, has been a rep for 20 years. John and his wife, Keri, have an 11 year old son, Gavin, and a ferocious seven pound Morkie named Maximus. Outside of work, most of John’s weekends are Gavin’s participation in football and year-round traveling basketball. John enjoys movies, rock music, cooking, martial arts (he is a black belt in Tae Kwon Do), and spending time with family and friends. Born and raised in Kannapolis, North Carolina, Ron attended Duke University on an athletic scholarship. While there, he was a teammate and fraternity brother of Stan Crisson, who is also a member of the Designmaster sales force. 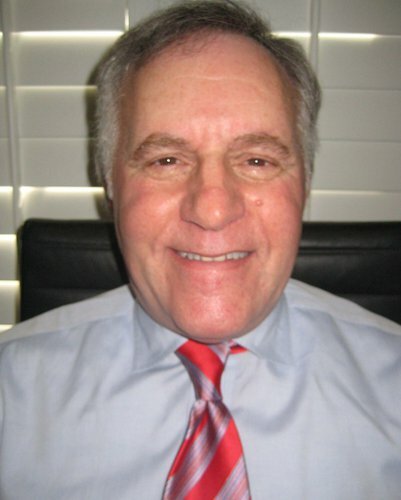 Ron has been in the furniture industry for more than 40 years as a rep, sales director, and manufacturer. He currently lives in Rhode Island. Ron has been married to his high school sweetheart, Ann, for 57 years. They have three children and five grandchildren. 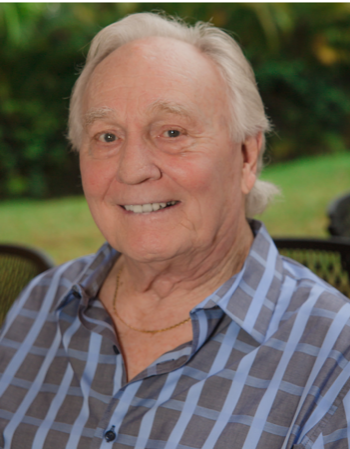 Ron’s favorite pastimes are reading, working out (sometimes), and spending time with friends and family. 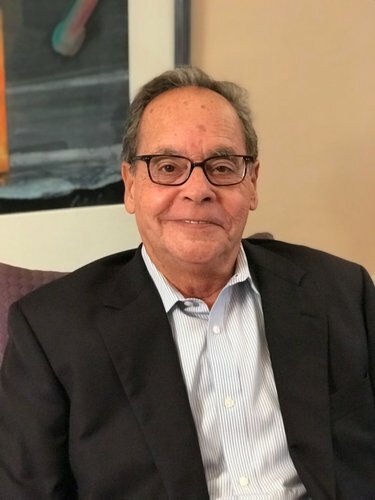 Alberto was born in San Juan, Puerto Roca and graduated from the University of Puerto Rico before earning a graduate degree from Clarion University of Pennsylvania. He and his wife, Lourdes, have both a son and a daughter, as well as four grandchildren. A sales rep for over 25 years, Alberto says his work at Designmaster is made easier by quality – the quality of the product and the quality of the people who work in the company. Reading on the beach is one of his favorite pastimes. Jim received a BS in Business Administration from SUNY University of Buffalo before doing graduate work in Architecture. After school, he worked for Tiffany’s in NYC before starting his career in furniture: 17 years in retail and 23+ years as a manufacturer’s sales representative. 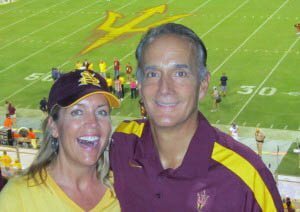 Jim and his wife, Ruth, have been married for 32 years and are eagerly awaiting the arrival of their first grandchild in April. Jim is thankful to represent a great product like Designmaster, but says working with the people of Designmaster and dealers is his favorite part of his job. In his spare time, Jim enjoys gardening, cooking, and helping his two sons with their home projects. 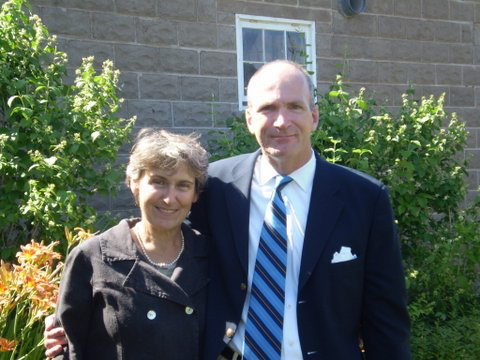 Ric Hutterly and Sandy Wiedemer have been married since 1989. Ric has a degree from Shepherd University and a graduate degree from North Texas State. Sandy attended Stephens College. Ric comes to Designmaster after having been a Hall of Fame college swimming coach and the East Coast regional manager for Pier 1 Imports before becoming a gift and accessories rep. Sandy was a department store buyer and a sales rep in watches and jewelry prior to her start as a furniture rep.
His career in gift, tabletop, and furniture sales spans over 42 years; she has 39 years of experience in the same areas of expertise. Ric has three children: Bill, Anne, and Mike, as well as four grandchildren whose ages range from 14 to 22. They both enjoy interior design and working with high-quality upholstery and accessories. Their home reflects this love of furniture and interior layout. 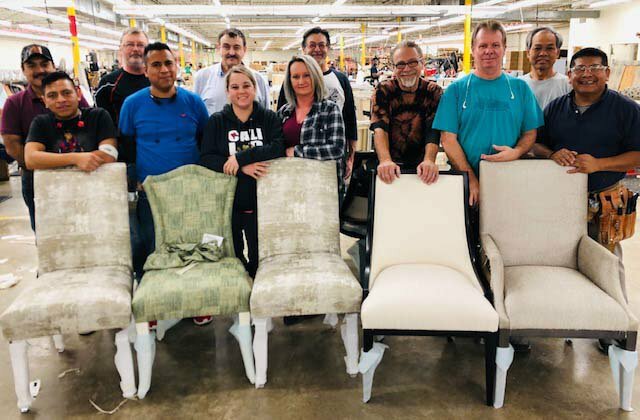 Designmaster fits perfectly into this picture because of its high quality, great customer service, and how it fills a special niche place in the furniture industry. Ric and Sandy both make exercise a priority. They enjoy weight training, walking/running, and walking with their dog, Eddy. Ric skis downhill every winter. Sandy spends time weekly caring for her 97-year-old mother. Both Ric and Sandy like to travel locally and around the eastern-half of the country. Deborah attended BFA Institute of Art, receiving a degree in Computer Graphics before starting a career as both a television producer and art director. 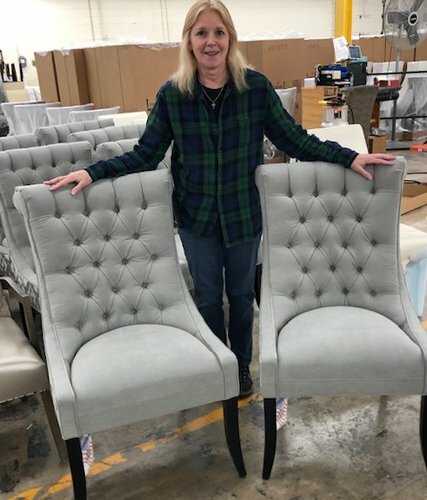 She has now been a part of the furniture industry for almost 30 years in product development and design, merchandising, and sales. 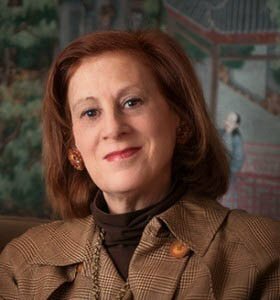 A charter member of Withit, an organization for women in the furniture industry, she has served on both the board of directors and as a regional director. Deborah finds great satisfaction in being a part of making people’s homes beautiful and tranquil. She and her partner, Carl, live in Brooklyn and enjoy time with his three children and four grandchildren. She also enjoys movies, tennis, and time with her cats. 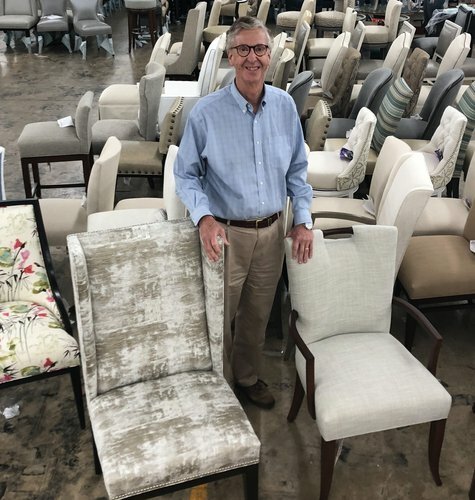 After graduating from Western Carolina University with a major in Mathematics (and a concentration in Economics), Hugh soon started what has now been 40+ years in the furniture industry. Hugh says he is impressed by the culture of Designmaster and loves working with the people he has gotten to know through his job. 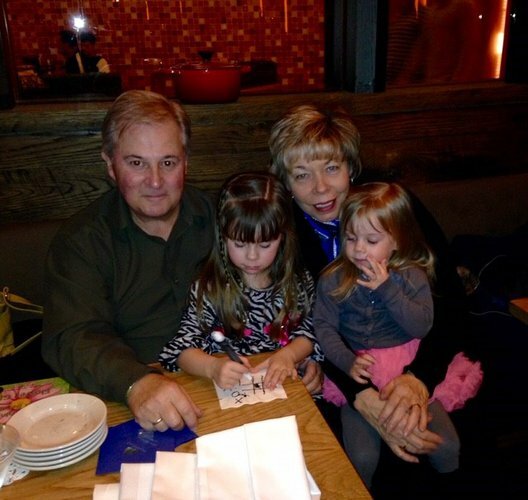 He enjoys spending his free time with his three children and six grandchildren. Hugh also like to hunt, fish, and play golf. 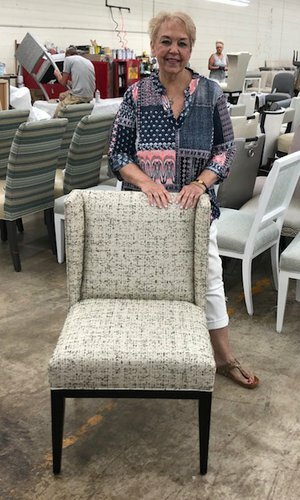 Julie lives in Scottsdale, Arizona, and has represented home furnishings, art and accent manufacturers for over 20 years. 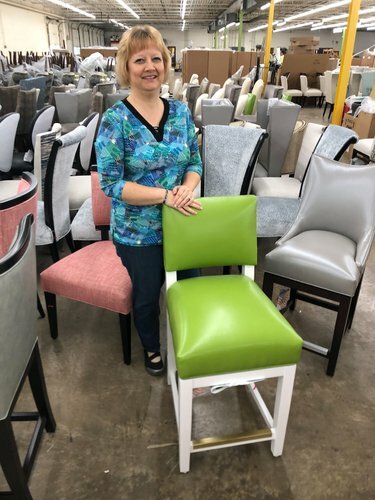 She and her husband, Jeff, have one son; he recently started to follow in his parents’ footsteps by becoming a furniture industry representative, as well. Julie says she enjoys the relationships she is able to build with designers and retailers through her work with Designmaster. She appreciates the value of Designmaster’s product, as well as the high-quality construction and the selection of on-trend fabrics. Julie treasures time with her family and enjoys golf and travel. 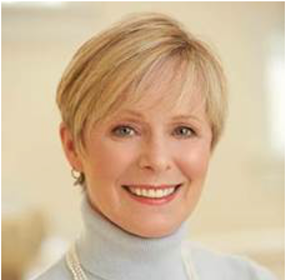 Born and raised in North Carolina, Sally studied Communications at Queens College before obtaining a degree in Interior Design from Randolph Community College. She believes serving as a sales rep for Designmaster Furniture allows her to use the combination of her gifts in both sales and design. 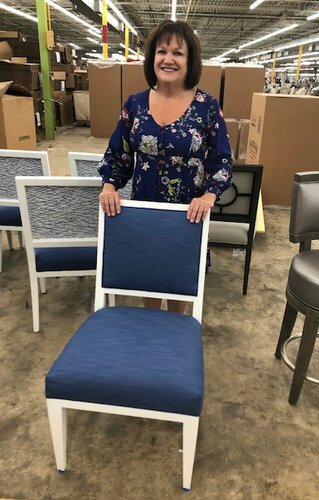 She enjoys seeing the trends and styles of dining chairs evolve, as well as serving the customers she loves. Carl is a life-long resident of Florida. He and his wife, Annie, have a four-year-old son, Nathanael. He has been with Designmaster for six of his 18 years in the furniture business. 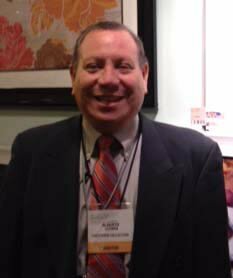 Carl says he is happy to be a part of a company like Designmaster, with a great vision and true family values. In his spare time, Carl enjoys church, playing golf, and spending time with his family. After graduating from John F. Kennedy College in Nebraska, Mike served as a manufacturer’s rep to the gift and light trade. He also served in the Army National Guard for six years and has now worked in the furniture industry for 30 years. He and his wife, Becky, have been married for 47 years and have two sons and five grandchildren. Mike enjoys how his work offers opportunities to serve others every day. He finds great joy in working for a company that cares about its customers and its employees. In his spare time, Mike enjoys Bible studies and service at church.